Joan Louise Goranowski, age 84, formerly of Silver Lake went to Heaven to be with her husband and son on Sunday, December 31, 2017 at St. Crispin Living Community in Red Wing. Joan (affectionately known as “Janet” by family and friends) was born on November 19, 1933 in Silver Lake the daughter of James & Bertha (Pilarski) Snaza. Joan was baptized and confirmed in the Catholic faith at St. Adalbert’s Catholic Church in Silver Lake. She graduated from St. Adalbert’s School in Silver Lake. On October 28, 1952, Joan L. Snaza and Cyril Goranowski were joined in marriage at St. Adalbert’s Catholic Church in Silver Lake. God blessed their marriage with a son, Charles John. Joan was a loyal 3M employee and retired after 44 years of service. She was a wonderful cook and loved to garden. She loved living in the Silver Lake community and living on her farm. Joan was very proud of her son and granddaughters. She could often be heard sharing their latest adventures and accomplishments. Joan was a faithful member of Holy Family Catholic Church in Silver Lake, being involved with many church activities. Joan moved to St. Crispin Memory Care in Red Wing, MN in 2013 to be closer to her son and his family. Survived by her daughter-in-law: Kathryn Goranowski; granddaughters: Melissa Rose and Sara Jayne Goranowski; sisters: Lois (Glen) Smida, Betty Snaza; sister-in-law, Audrey Snaza; and many nieces, nephews, cousins, family and friends. 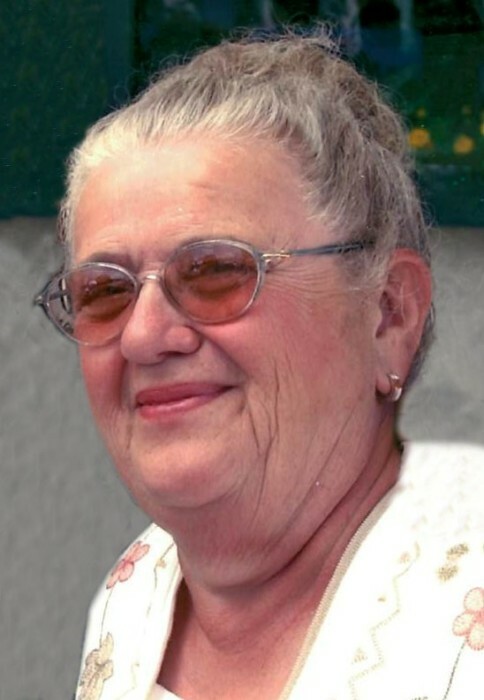 Preceded in death by her husband: Cyril Goranowski in 1999; son: Chuck Goranowski in 2016; her parents, James and Bertha Snaza; and brothers, Jim and Reverian Snaza. A Mass of Christian Burial for Joan Louise Goranowski will be held on Friday, January 5, 2018 at 11:00 AM at Holy Family Catholic Church in Silver Lake. Father Paul Schumacher will be the Celebrant. Interment will follow at St. Adalbert’s Catholic Cemetery. A visitation will be held on Friday AT THE CHURCH one hour prior to Mass, with a CCW rosary recited at 9:45 AM.